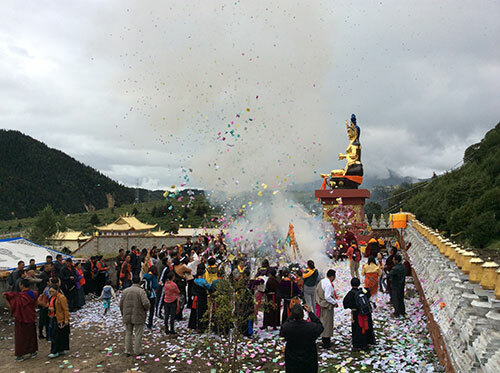 On September 1, 2014 in Amdo, Tibet, an official consecration ceremony was held for the newly erected statue of the Lord of the teachings, the Great Lama Drenpa Namkha. The sacred image was erected at the Yungdrung Bön monastery of Gamal Gomchen which is the largest in the area. The consecration was performed by the great abbot Sherap Yungdrung Wangyal Rinpoche, Ponlop Menri Geshe Sherap Tharchin, the supreme tulku of Dangri Do Ngak Shedrup Gyaltsen and many other lamas and monks from the five main monasteries and the thirteen branch monasteries. 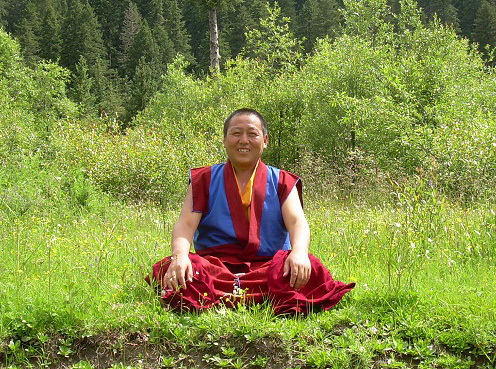 Additionally, there were many well known and respected Yungdrung Bön practitioners present. 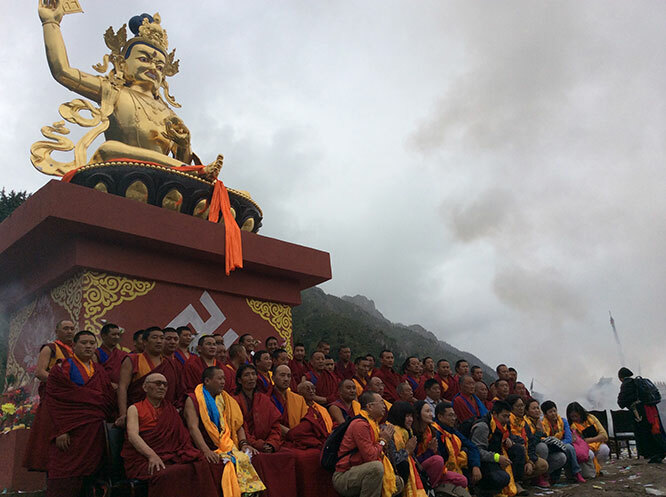 The sacred statue was erected by the supreme tulku of Dangri, Do Ngak Shedrup Gyaltsen, for universal benefit and especially for the benefit of the Amdo region. 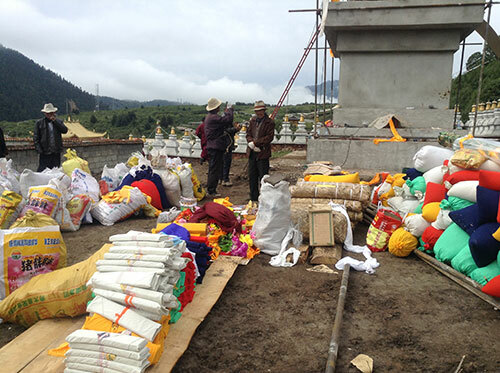 This is the first time that such a statue of the Great Lama Drenpa Namkha has been erected in this area of Tibet. The sacred image was empowered with countless sacred and blessed objects from knowledge holders and superior beings of the past from both Zhang Zhung and Tibet. In particular, these countless sacred objects included a collection of objects of support for enlightened Body, Speech, and Mind from the great masters of this area of Amdo. Posted on November 6, 2014, in Prayer and Ritual, Preservation, Tibetan Lamas, Uncategorized, Yungdrung Bon Monasteries and tagged Amdo, Drenpa Namkha, monks, sacred art, tibet, Tibetan history, yungdrung bon. Bookmark the permalink. Leave a comment.